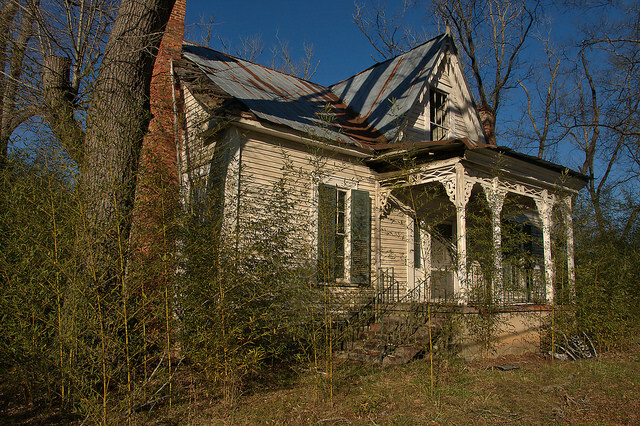 Every time I’m in Crawfordville I check to make sure this house is still standing. 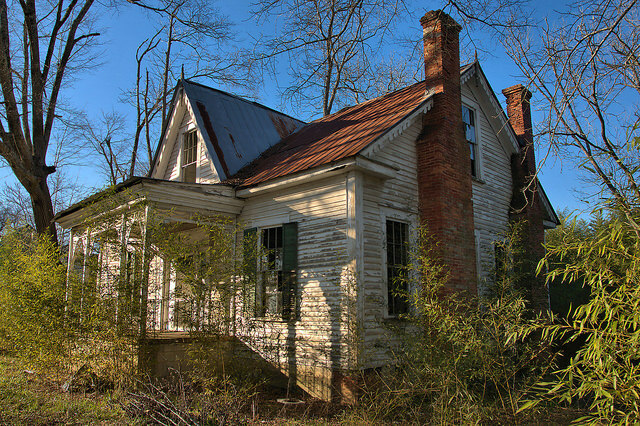 It’s one of my favorite Gothic Revival cottages in Georgia, though notoriously difficult to photograph. 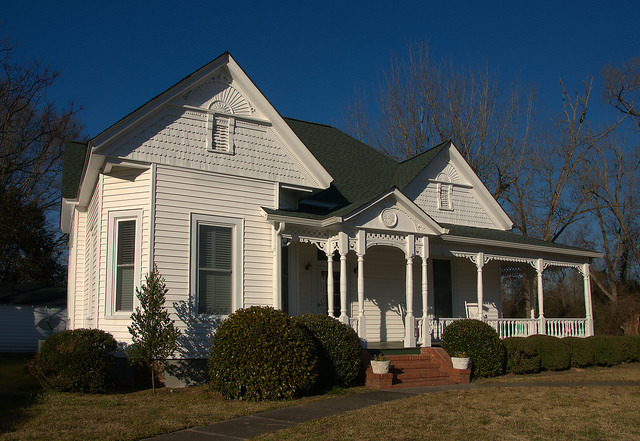 The only information I’ve been able to gather from locals is that it was the home of Dr. White, and that it’s been empty for many years. I hope someone can save it before it’s too late. 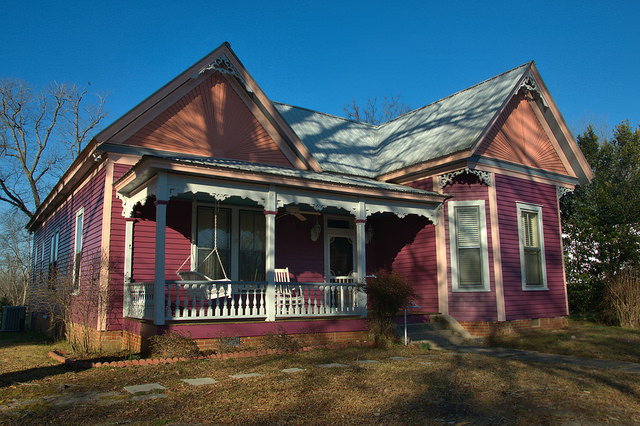 This is next door to the colorful Queen Anne shown in the previous post. 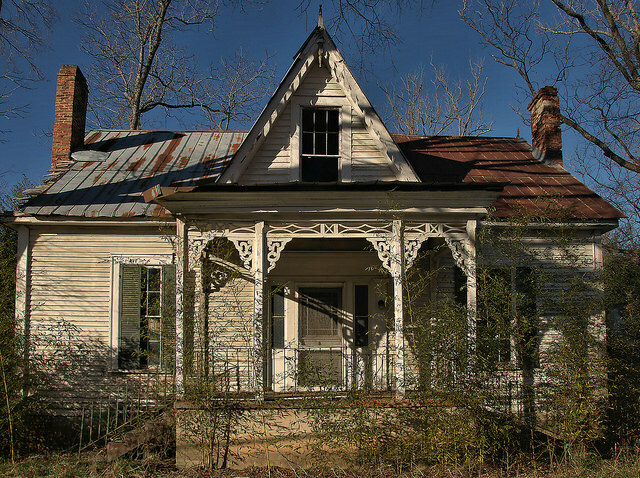 This location has been featured in several Hollywood movies, including Sweet Home Alabama. 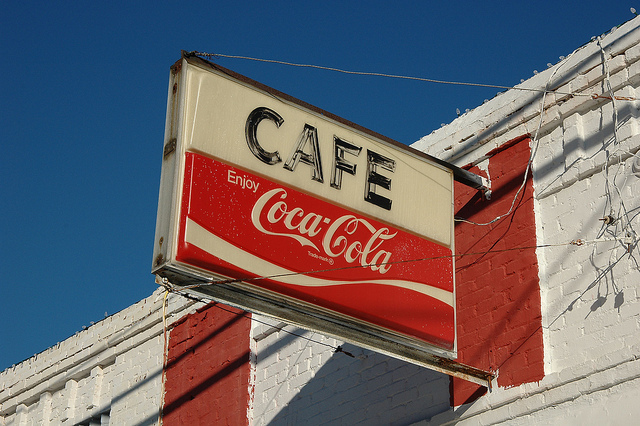 It was about the only place to get a good home-cooked meal in Crawfordville for nearly sixty years, and Mrs. Annie Lou Bonner was a well-loved local fixture throughout her long life. 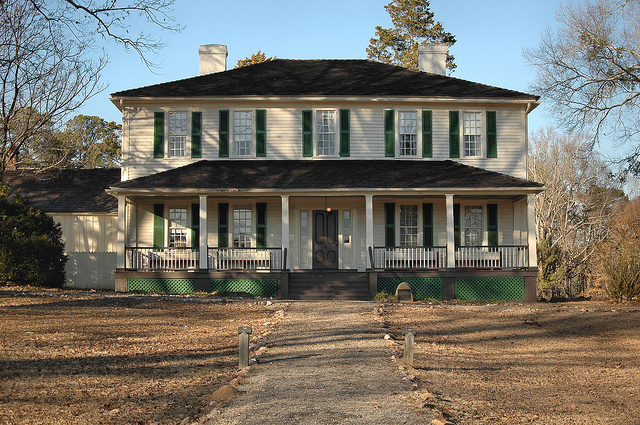 Liberty Hall was the home of Confederate Vice-President and Georgia Governor Alexander Hamilton Stephens, known as Little Aleck for his small stature. 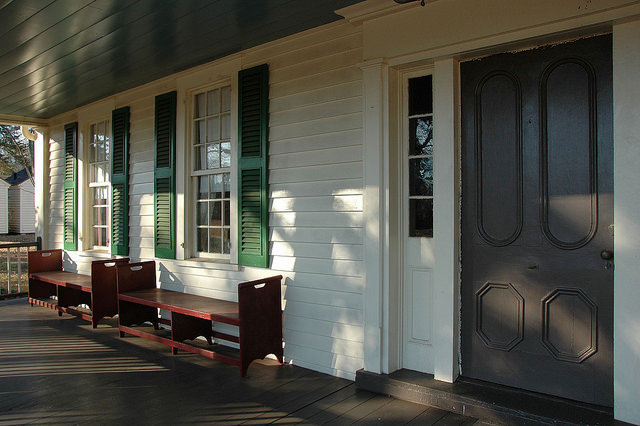 An extensive renovation was completed in the 1990s by Georgia State Parks and Historic Sites, painstakingly replacing period textiles, wallpapers and paints. 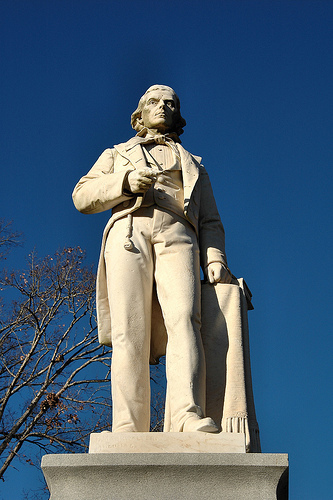 Sculptor T. Markwalter’s imposing statue of the statesman keeps guard from the front lawn of the estate; Stephens is buried adjacent to the monument. 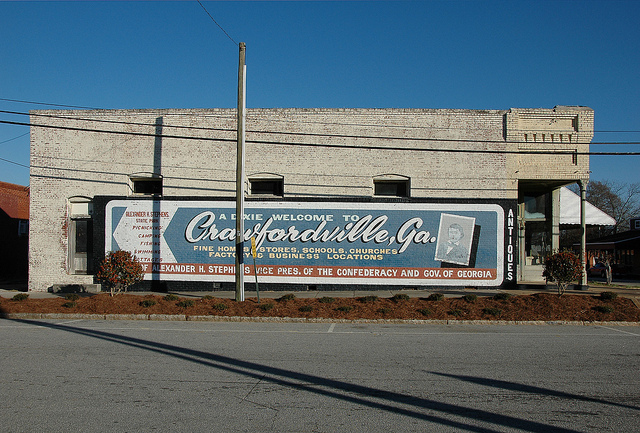 A Dixie Welcome to Crawfordville, Ga. 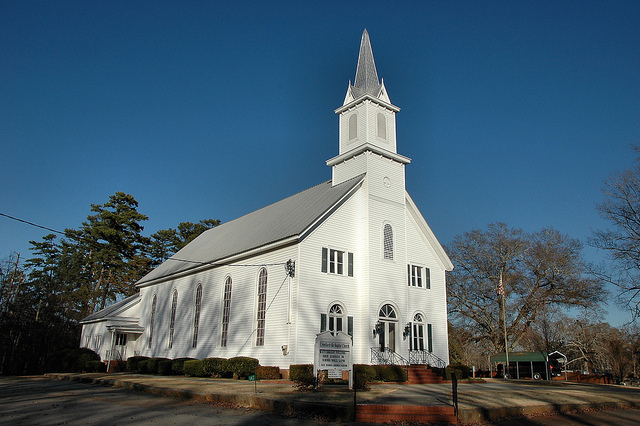 Founded in 1802 by Reverends Jesse Mercer and James Matthews, this was the first Protestant church in the region. Known widely for its liberality, the congregation was the setting of many fiery political debates. It’s hard to imagine any Baptist church today being so liberal.